dose of each product at the right time on each cycle. 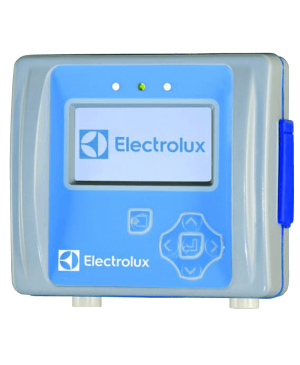 We have a comprehensive range of chemical products for both the laundry and kitchen and auto dosing pumping systems to administer them. 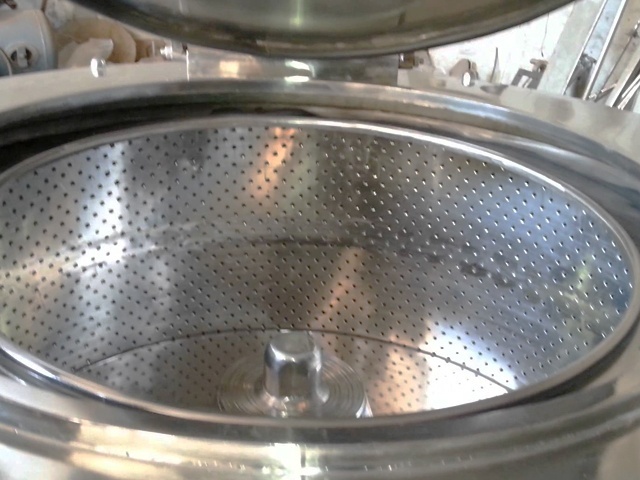 Auto dosing is an automated system of feeding the commercial laundry equipment / glasswashers / dishwashers with their high quality liquid products such as detergent, softeners, destainers etc. We have various specialist products including low temperature, infection control, emulsifiers etc. Automatic Chemical Dosing is the ideal way to ensure the correct calibrated dose of each product at the right time on each cycle. 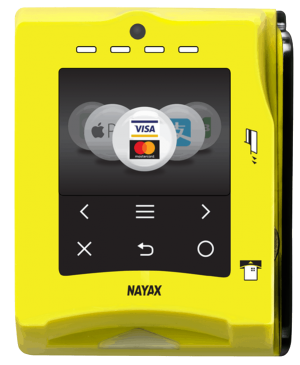 This protects the operator from chemical contact and ensures that the required products are administered day and night without relying on manual dosing. It also prevents blocking the internal pipes and messy wasteful spillage. We can also supply simple formula controls pads that allow the operator to select preset programmes or options i.e. 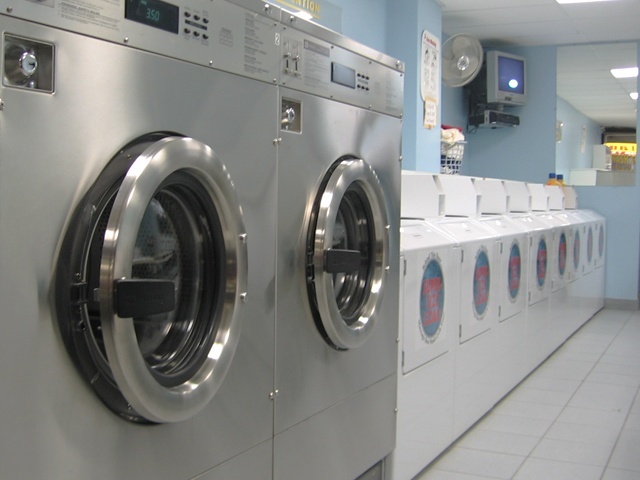 towels, heavily soiled, incontinence or cycles that require specific process. We supply, install, repair and routinely maintain the pump units free of charge* based on ordering the products from us. We offer a complete after sales service option. We implement rigorous pro-active maintenance programmes whereby pump heads and tubing where necessary are changed periodically to prevent pump failure which can compromise the flow of liquids and subsequently affect the results. This is done at our expense to maintain the high standards that we are proud of. Our installation team and technicians are a specialised dedicated division that purely install and maintain auto dosing units. Therefore they are superbly qualified and carry out their work to the highest standards. 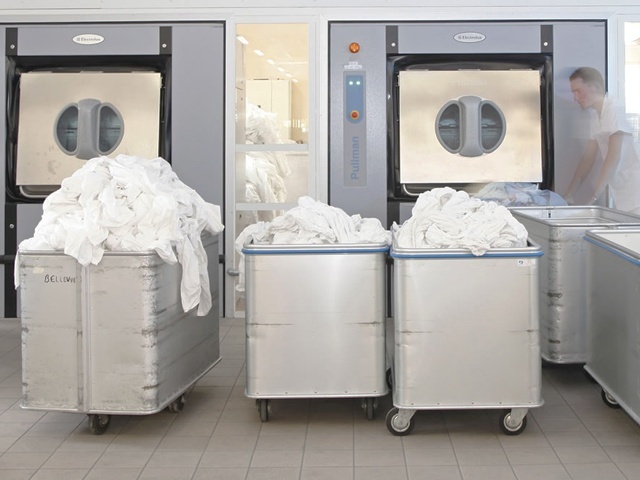 Our company is unique and can offer turnkey operations including supplying the commercial laundry equipment on outright purchase, rental or leasing, installation and after sales service. 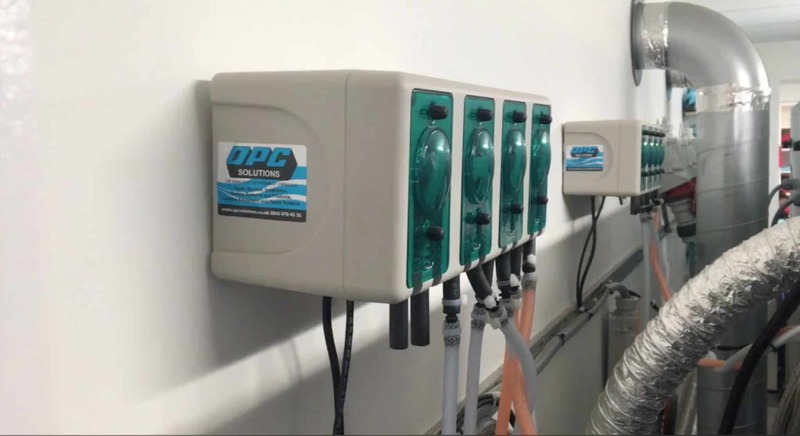 This combines with our ozone laundry systems for infection control and substantial savings and our specialised auto dosing division for impressive cost effective results provides a one stop shop simplifying your operation. All works are carried out to industry standards and regulations i.e. Gas Safe, NICEIC etc. Our comprehensive range features a wide variety of high grade products formulated to our stringent standards to suit all types of application. They are in use in many prestige sites achieving outstanding results resulting in valued customers that have continued to order their products from The OPL Group for many years to date. 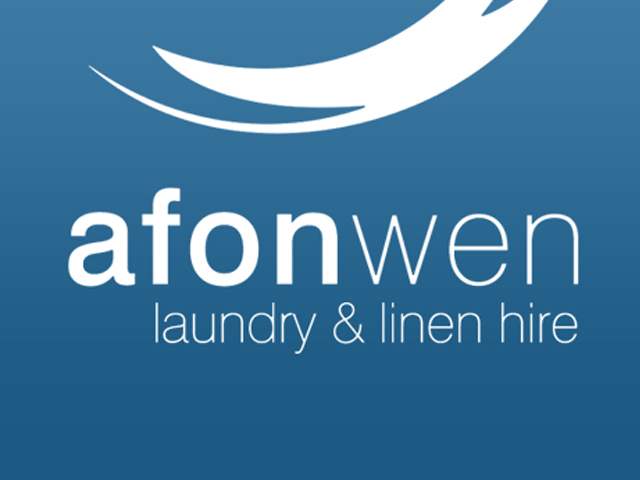 Our impressive range includes detergents to suit all requirements inc. non biological, biological, speciality infection control detergent, sports detergent with anti-fungal / bacterial properties for fresh results and others. 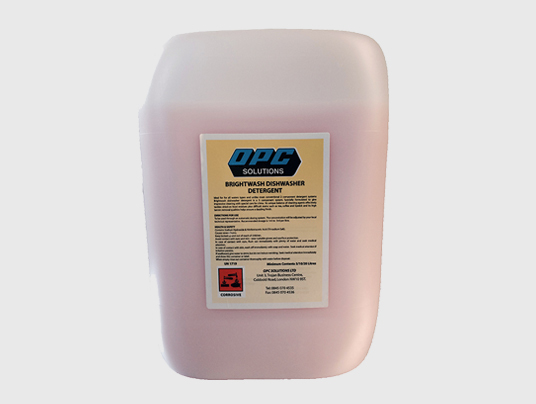 We offer peroxide detainer’s for washing with temperature and also our speciality low temperature destainer achieving outstanding results from very low temperatures and safe on coloured. 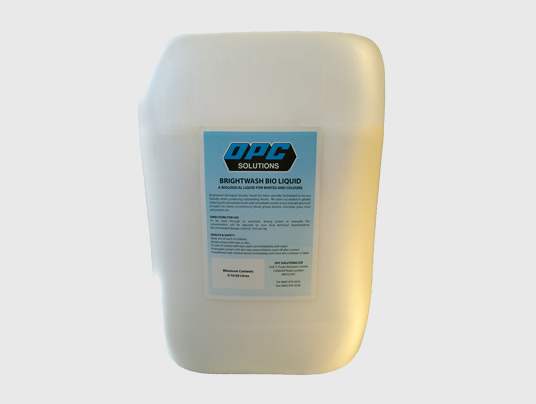 The OPL Group have a product range for every application including emulsifiers for protein / grease staining, alkali boost, starch in various forms. Our fabric conditioners are the envy of many and we offer encapsulated technology which results in weeks of fresh fragrance release from the laundered items. It is imperative that the products we supply have the best results possible. Therefore we only offer products that we feel are high quality, effective and as friendly to the environment as possible. Products in our range have been specially formulated for their high quality and effective operation. Our product range is very comprehensive to suit all types of application. We have specially formulated products such as MRSA Purify which kills MRSA at low temperatures and certified to EN1276. We cater for all types of application including councils, nursing homes, residential care homes, schools, colleges, universities, nurseries, veterinary practices, MOD, prisons, hotels, housing associations, hostels, livery yards, holiday parks, NHS, landlords etc. With auto dosing there is no messy wastage or spillage and typically dosing works out to be less costly than manual dosing. 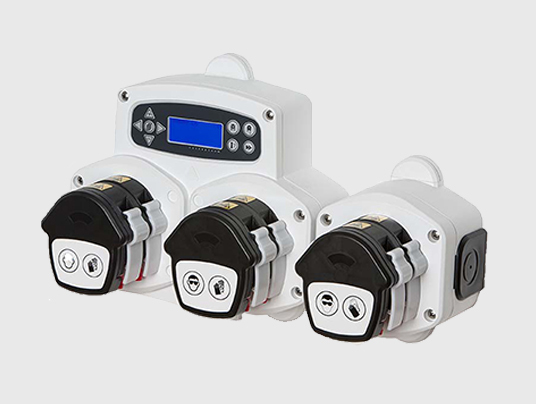 The auto dosed products and pumps are user friendly with simplistic operation with various control options available. To support our impressive laundry liquid range we also offer very high quality laundry powders including our stain pro powder which is a powerful oxidising agent to release stubborn staining and compliment the detergent and wash cycle plus our highly praised chlrorine bleach for whiter than white whites! 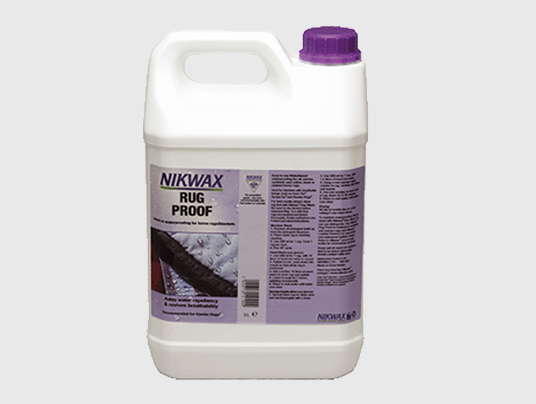 It is imperative in ware washing to achieve glistening streak free stain free results. We have our own premium quality liquids for dishwasher detergent, glasswasher detergent and a superb rinse aid to achieve the desired results every time. When it is time to keep your equipment prestine you will need our highly potent descaling solution which will bring the vital parts and elements back to optimal performance. 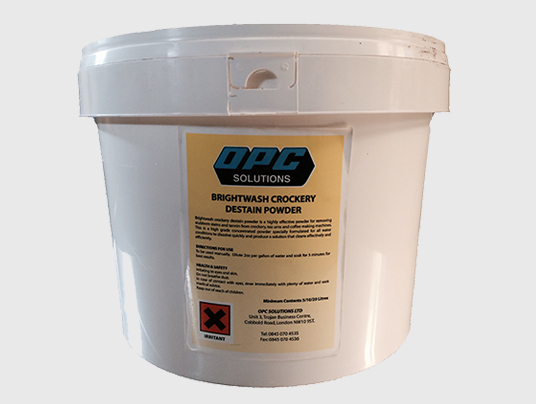 To complement our impressive kitchen liquid products we have our highly sought after Crockery Destain Powder for removal of stubborn commons issues removing stubborn issues such as tannin from crockery, tea urns and coffee making machines. 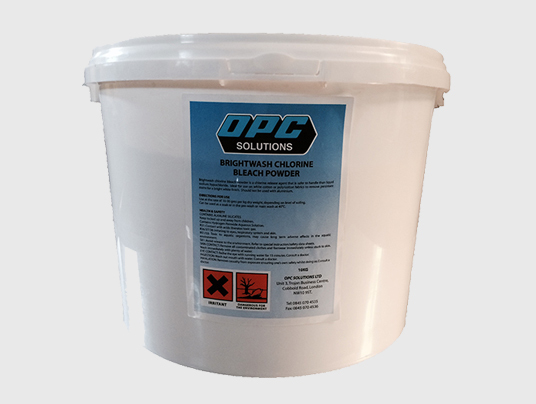 This is a high grade concentrated powder specially formulated for all water conditions to dissolve quickly and produce a solution that cleans effectively and efficiently. 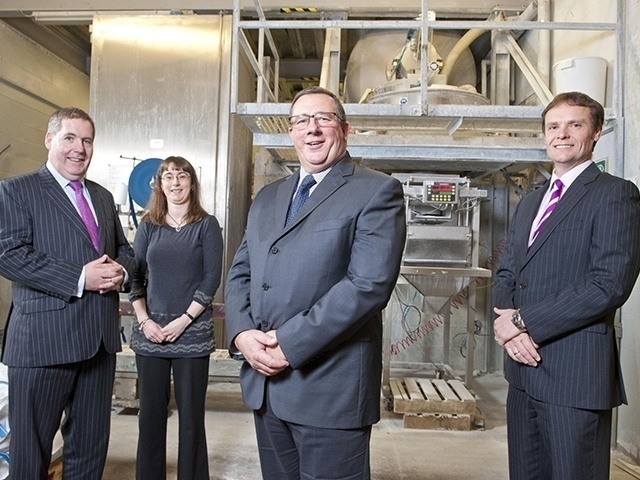 The OPL Group provide the finest dosing systems on the market. This is imperative to guarantee delivery of the correct dosage of each product every time to ensure the washing process is producing consistent and pleasing results. We supply free on loan systems to our customers that order the chemical products from our company.  All systems receive PMV and full service support throughout at no charge. Our laundry equipment division offer equipment and modules that communicate with the dosing systems to optimise the delivery i.e. 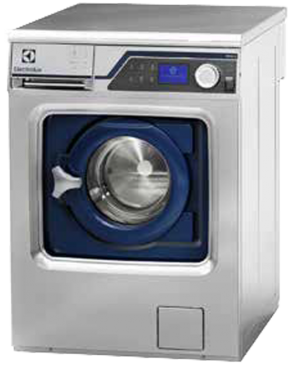 whereby the washing machine has a reduced load the equipment will share this information and deliver the required reduced amount of chemical which both saves on wastage of chemical products and protects the garments from being subjected to high a concentration of products for the load. Automatic dosing is an automated system of feeding the laundry, glass washing or dishwashing appliances with their products i.e. detergents, rinse aids, softeners, destainers etc. It is the perfect way to ensure the correct calibrated dose of each product at the right time on each cycle. 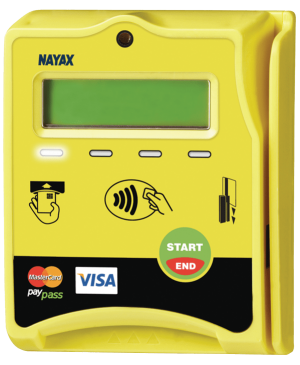 We can also supply simple controls that allow your operator to select particular programmes or options i.e. incontinence, heavily soiled or cycles that require a specialised process. 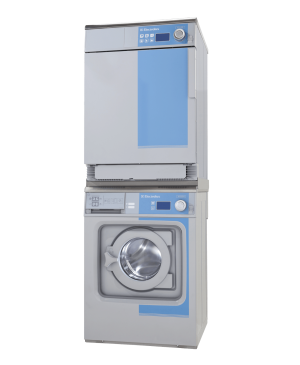 We have a comprehensive range of pumping options to suit all applications of laundry and ware washing i.e. dishwashers and glasswashers and look forward to hearing from you to discuss your requirements and how we can help improve your results and save you on costs.